What’s For Breakfast II– getting started!!! Almost time to say goodbye to this little quilt for a while!! Pretty soon, I’ll be sending it off to join 32 other quilts at the International Quilt Market in Houston Texas for the Modern Quilt Guild Showcase this Fall. What an honor and a happy surprise to have a quilt chosen for this show! This quilt, called What’s For Breakfast, which I finished up last summer, was such a joy to create and so true to the way I enjoy working most. 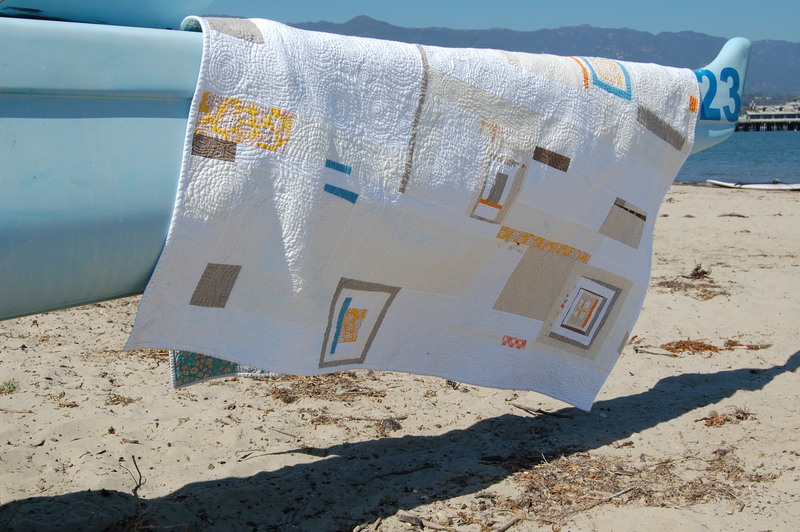 You can read more about the creative process involved in this quilt, here and here. Anyway, as I took it out of careful storage, to begin preparing it for it’s little journey, I realized once again how much I love it, and decided I need to start on a new one- the 2.o version, if you will. My scrap box of neutrals is overflowing so I figure it’s a good time to start. And, bottom line, this kind of piecing just makes me happy!!! This time around I have a clearer vision going into it and have chosen some accent colors that really sing to me. I’m super excited to see how this one grows! Congratulations on your quilt being chosen to participate! I can’t wait to see your next! Congrats! That is a beautiful quilt! love version 2.0 already! and congrats on version 1! It’s so pretty! I mentioned to my dear MIL that I thought I’d like to learn some sewing and she’s giving me her practically brand new, never used machine. I’m so excited! I’m excited to see this one too! Beautiful. this quilt totally deserves to be in the show. It is remarkable. I love everything about it. Version 2.0 looks amazing already! I will be sure to look for it when I attend the show!! Congratulations!! Congratulations on the show! I love that quilt. 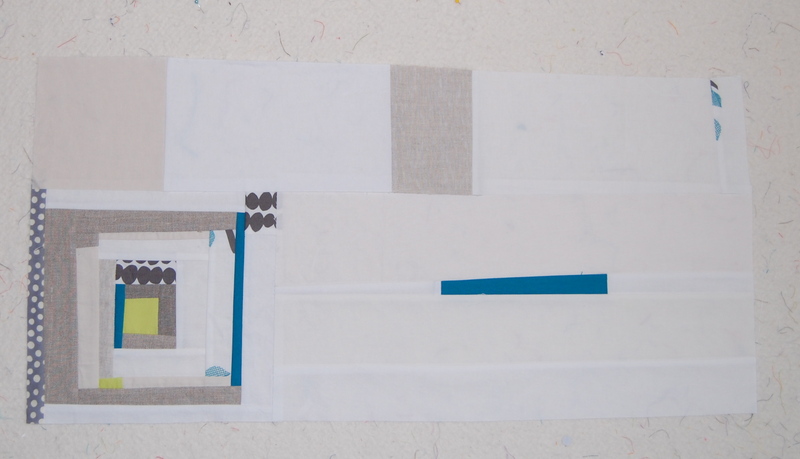 I work on the design wall the same way it’s my favorite way to make a quilt I can’t wait to see your new version.